Democrats in Pinellas County, Fla., are crying fowl over the supervisor of elections’ decision to hold voter registration drives at nine area Chick-fil-A locations earlier this week on National Voter Registration Day. However, here in Virginia Democrat Gov. 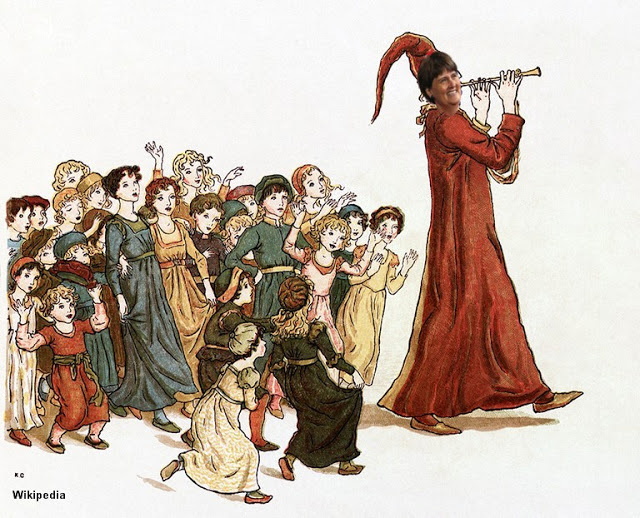 McAuliffe has all the liberal teachers in Virginia’s high schools herding students into voter registration desks right behind Tim Kaine’s wife “Pied Piper Anne Holton”. Students praised their educational experience at the Salem ITT campus, which closed with its national organization dissolved. “National Organization Dissolved” – Really? No that’s not it! This private national educational institution was shut-down by Obama’s minions as part of his ongoing war on private industry. 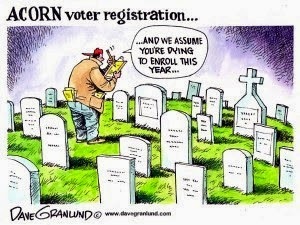 ObamaCare, IRS, Postal Svc., Amtrack, HomeLand Security, 40% increase in public college costs in 10-years and etc. etc. etc. “You business people didn’t build that” and therefore the government has every right to control everything that private industry and entrepreneurs have built and developed. 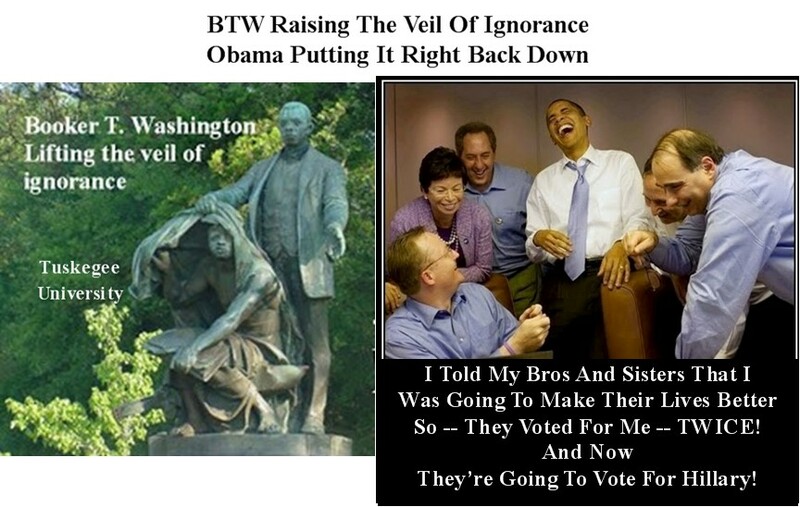 Mussolini called it Fascism, it’s new US name is Obamaism. Has any US President ever belittled and denigrated US business like this? Watch the video and draw your own conclusions why private enterprise and private job-creation has been stunted for 8-years! As an Engineering Manager for a large computer company I have hired many graduates of Technical Institutes. These graduates provided the skill, knowledge and work ethic to become very successful System Test and Development Technicians. Many went on to get their engineering degrees and became leaders in our Development and Manufacturing Organizations. It is a travesty that Obama and his minions can destroy these Technical Institutions just because he can. ITT’s decision to close all of its 130 some campuses—stranding 40,000 students and 8,000 employees—comes after the Education Department barred new enrollees from tapping federal aid, delayed loan reimbursements and raised its collateral by $153 million. ITT had a mere $78 million on hand at the end of June and no way of meeting the Administration’s cash demand. The country’s primary accreditor of for-profit colleges is on the brink of annihilation after the Department of Education backed a recommendation that it be deprived of the right to accredit schools. Founded in 1912, ACICS is the largest national accrediting organization of degree granting institutions. We accredit institutions that offer programs in professional, technical, and occupational fields. 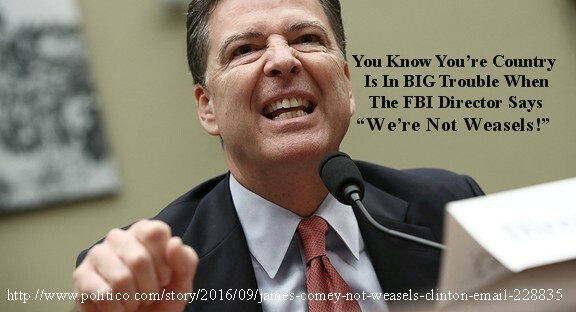 “FBI Director James Comey is passionately defending the integrity of the investigation into Hillary Clinton’s private email setup, arguing that critics are unfair to suggest that agents were biased or succumbed to political pressure. Roanoke Times, 9-28-2016, Pg 1: Nothing but opaque. Brother of shooting “VICTIM” among those at meeting on police and community relations. No Editors of the Roanoke Times, Kionte Spencer was and is NOT a VICTIM! He was a felon brandishing a gun and refused to follow lawful police orders to drop the gun! The continuation of the Pravda Media’s racial anti-police jihad is not only sad, it is a major contributor to further violence against both the police and society. Has there ever been such irresponsible behavior by the Major Media in this country? I think not! What a very disturbing set of journalistic priorities in today’s, Feb 25, RT placing supporters of anti-police ahead of our police heros! For the past six-months Obama, Hillary and the DNC could have encouraged Black Voters to come-out and vote for Hillary based on the good works they have done and the good things they will do. 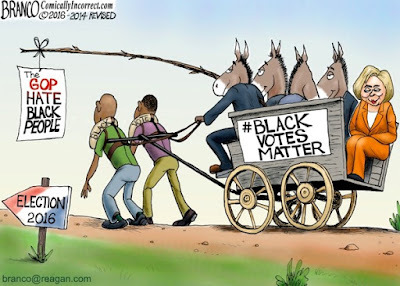 It’s now clear after six-months of race-baiting and the racial focus of the first debate, that Obama, Hillary, DNC and the Pravda Media have decided that the best way to “get out the black vote” is to foster viral racial hatred against the police and turn the Black Lives Matter Pit Bull Gangs loose onto the people and population of our cities. Yet again in the first debate Hillary opined about the “racist police” in Charlotte who clearly need a new kind of training and methods. Apparently the new methods require letting the bad guys shoot first! Little wonder that cops in all the major inner-cities are now standing-back and not engaging the violent criminals who are waging urban-warfare in many of our cities! The result is more violence and lots more unsolved crimes. The 4,000 killed in Chicago during Obama’s term is a testament to the callous way Democrats handle this carnage as if no black lives matter. Obama and Hillary jerry-flex over “stop and search” because they claim it’s profiling blacks even though it is used in many non-sanctuary cities. Who do they think is killing thousands of black people? Like shooting 2,000 so far this year in Chicago; talk about Community Organizing! If mountain lions were killing and maiming thousands of people, we’d all be hunting mountain lions wouldn’t we? This is the kind of “person” that Obama and Hillary want a good decent police officer to “take a bullet for”! Really? What kind of leadership do we have in this country? Two major articles in the Roanoke Times without mentioning the Turkish Immigrant’s connection to ISIS and The Ayatollah in the Washington state mall shooting. The Pravda Media is dutifully following the Obama, Hillary, DNC declaration that there are no Radical Muslim Terrorists RMTs and therefore they do not exist here in the US. Has there ever been such a bunch of Deniers in our history? I think not! Just more Fort Hood workplace violence! As for the FBI and so-called-HomeLand Security – what does it take to get on the watch-list and the no-fly-list and the no-gun-list and what are they doing with all the stuff they are collecting on us? Apparently the Obama Muslim politically-correct rules mean you’re not a RMT unless you have a note from an ISIS leader saying you are! The Turkish immigrant accused of gunning down five people at a Washington mall smirked at his first court appearance Monday even as reports revealed he had a blog with photo posts of ISIS leader Abu Bakr al-Baghdadi and Iranian Supreme Leader Ayatollah Khamenei. How Did Trump Get Obama To Make This Major Anti-Hillary Ad-Video? Hillary Clinton: "Why aren't I 50 points ahead of Trump? The Hillalry "WaterGate" Investigation was Shut-Down this morning when Nixon’s Attorney General gave immunity to the five most-involved administration figures in the scandal thereby truncating Investigations by the Independent Prosecutor, the FBI and The Senate Investigation Committee. The Immunity Orders prevent these five primary characters from being forced to ever give any type of evidence or testimony in the case. “Move along folks – there’s nothing to see here”! Oh Sorry! That’s not the WaterGate Story – it’s the Hillary National Security Documents Malfeasance Story! Fast forward to Obama declaring last October that Hillary had “done nothing wrong” and that all this Email fuss was a political thing. That POTUS declaration was then implemented by the State Dept., the Dept. 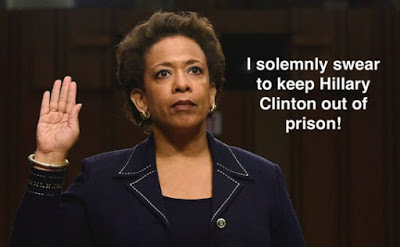 of SoCalled-Justice, the FBI and all those involved in a massive cover-up of the Hillary Team’s malfeasance in mishandling thousands of classified documents including Top Secret. The Bad News: It is difficult to find any prior prosecutorial DOJ, AG malfeasance at the very top of our government that comes even close to this situation. The Really Bad News: The Pravda Media totally embraces and endorses this malfeasance by their cover-up of silence and total lack of investigative journalism. Where are today’s Bernstein and Woodward? Should we be concerned having Hillary as POTUS and by definition Chief-US-law-enforcement officer? Hillary Didn’t Mis-Handle Classified Material??? Obama, DOJ, FBI and Pravda Media are all working diligently to ensure that Obama’s fiat that there are no Radical Muslim Terrorists anywhere – especially here in the US. Move Along Folks – Nothing To See Here! However, within a month there was an Allah Akbar attack in Roanoke and now we find out that the NYC-NJ Allah Akbar Bomber has relatives in Roanoke and purchased his pistol in Roanoke. The FBI even went so far to cover-up the NYC-NJ Bomber connection to ISIS that they stripped the ISIS leader’s name, that was in the Bomber’s documents he carried, from their formal charges and public view! What is happening to our government? Who to trust? “The man suspected of planting explosives in New York and New Jersey had a notebook on him when he was taken into custody that detailed his Islamic extremist ideology. The notebook mentioned Abu Mohammad al-Adnani, who was the spokesman for the terrorist group ISIS until he died last month,according to ABC News. Rahami bought the Glock 9 mm handgun that he used to shoot two New Jersey police officers from a gun dealer in Salem, Virginia in July, according to law enforcement officials with knowledge of the investigation. When do we get the information from these Enemy Combatants that will save American Lives? Whose Lives and Health are to be so glibly forfeited? Let’s all reflect that Hillary Clinton labeled her Republican rival Donald Trump "divisive and dangerous" and "unmoored"
Tulsa female police officer Betty Shelby's attorney maintains that Crutcher refused to follow more than two dozen commands and that he reached into the open window of the car before Shelby perceived a threat and shot him. There is something drastically and dangerously wrong with someone who ignores multiple legal commands by a police officer, then continues to ignore commands when the police office draws her weapon, then reaches into a vehicle when told to “get down on the ground”? The police officer apparently perceived Crutcher had a sinister intent by raising his hands during part of the time before he dropped his hands and moved back to his car door all the while defying the officer’s commands. Reaching into his car, after a series of provocative acts, represented an unacceptable risk for the officer. A police officer not only has the right but the obligation to use deadly force when confronted by someone they deem to pose an immediate deadly threat. Waiting for someone to “shoot first” is a ridiculous recipe for disaster. A prime example is the NJ officer who confronted and “had the drop on” the NYC-NJ bomber and was then shot twice before he could return fire. Those two shots could have been between his eyes! Hesitation in the face of imminent danger is disastrous. Cop Sucker Punched! During Traffic Stop! Resulting In Shootout! “Charlotte man shot by police allegedly stabbed wife, threatened to kill family, documents show. Yet again the BLM gang and their boosters in the Liberal community and Pravda Press beat the drums of rioting in response to what they claimed was a “police execution of a black man reading a book” BUT has been shown to be yet another violent black man with a gun threatening police in the conduct of their jobs. CHARLOTTE — Demonstrators started a fire and shut down part of Interstate 85 early Wednesday and about 12 police officers were injured and squad cars damaged when protests erupted after an African-American man was shot and killed by another officer. 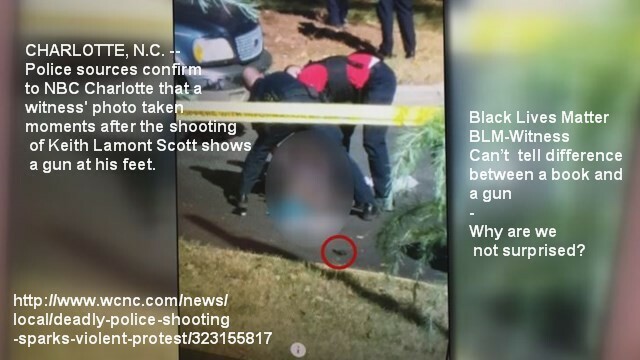 Charlotte-Mecklenburg Police Chief Kerr Putney said Scott exited his car with a gun, not a book. He said officers couldn't find a book at the scene. "It's time for the voiceless majority to stand up and be heard," the police chief, who is also black, said Wednesday. Black Lives Matter BLM-Rioters in Charlotte got so excited that they shot one of their own “Bro’s” in the head. The shooter claimed he was just aiming “a book” at the cops and his “Bro” got in the way trying to determine if “the book” was on the BLM-approved reading list. Would be an oxymoron to call it a “friendly fire” casualty. BLM-Rioting continues – work clothes, boots, gloves, and self-help books untouched; beer, wine, liquor and TV’s flying off the shelves. Attorney General Loretta Lynch says the division between police and communities of color has grown stronger after the police shooting deaths in Tulsa, Oklahoma, and Charlotte, North Carolina. 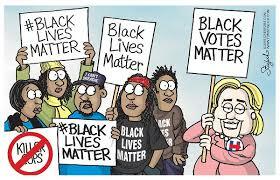 What a disturbing empowerment of the Black Lives Matter BLM gang!